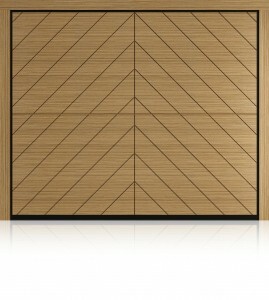 Exotic Wooden Garage Doors from Lakes Garage Doors. When people think of timber garage doors, they tend to think of traditional timbers, such as oak. The fact is that the types of wood can be far more exotic in nature. Exotic wooden garage doors can be exceptionally varied. They can even be a genuinely outlandish wood from a far-flung country. Far from softwood and hardwood garage doors being dull, wooden garage doors can be a fantastic way to mark a home exterior as something a bit special. Idigbo is a type of wood that comes from such localities as Cameroon, the Ivory Coast, Ghana, Guinea and Sierra Leone. Pale yellow in colouration and very light, it possesses very durable heartwood. It is a regular fixture within the realm of high class joinery. Idigbo is easy to work with and finishes well. In fact, when it is finished in a certain fashion, Idigbo strongly resembles oak. As well as being exotic wooden garage doors, they can also be called upon as a cost effective alternatives to oak. The Idigbo timber that is used within our garage doors is naturally resistant to moisture. 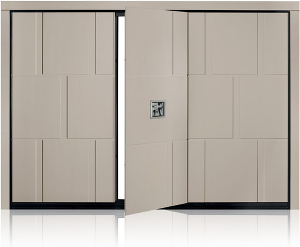 It makes an ideal choice for an installation that is going to be exposed to the elements. The fact that it remains light also makes it perfect for styles like up and over garage doors. Timber may be timeless, but to equate that with ‘boring’ would be nothing but a mistake. If you’re looking for a reliable supplier of exotic timber garage doors, but also want something a little out of the ordinary, then be sure to give Lakes Garage Doors a call on 0800 1955690.